With hundreds of millions of users, there’s no doubt that LinkedIn is still the world’s largest professional-oriented platform. That being said, in recent years, lots of users have drifted away from the network. They rarely log in and barely engage with the content and connections found over there. I was exactly the same, checking my LinkedIn account a handful times each year, max. There was never anything of interest. But since LinkedIn’s fairly recent design overhaul, I took another look at what the now Microsoft-owned platform offers. And truth be told, I was pretty surprised to find a number useful features and tricks, some of which were very well hidden. Taken together, these can help make LinkedIn a tool for far more than just job-hunting 5 Apps and Tools to Organize Your Job Search 5 Apps and Tools to Organize Your Job Search Every good job search needs a system. Whether it's an app, an Excel spreadsheet, or old-school paper and folders, these job search organization tools will make sure you get gainful employment. Read More . Creating and sharing insightful content on your LinkedIn account is a fantastic way to establish yourself as a leader in your industry. The most obvious ways to do this are posting status updates or leaving comments on relevant posts. But LinkedIn also has an easy-to-use (and recently updated) editor, which allows you to post blog-style articles to your profile. Don’t get me wrong. You don’t need to start creating exclusive content for LinkedIn. Instead, consider repurposing content you’ve already published on your own blog, Medium, or Quora. Given that not many other users are doing this, you’ll immediately have a competitive advantage over your peers The Powerful Code You Need To Stand Out On LinkedIn The Powerful Code You Need To Stand Out On LinkedIn LinkedIn: You've updated your experience, joined groups, connected with the right people — You're ready for that dream job. Stop there. You may not realize you could be throwing up a red flag. Read More . Your content will be viewed not just by your LinkedIn connections, but by people outside of your network, too. As a few examples of users who are using this feature phenomenally well, check out the bestselling author, Gretchen Rubin, CEO of Human Workplace, Liz Ryan, and digital analyst, Brian Solis. Since its redesign, LinkedIn has been putting a ton of effort into persuading influencers to use the platform. The company is specifically working with partners to regularly publish exclusive content that’ll appear on your LinkedIn feed. This is more than simply influencers posting links. A lot of these influencers are publishing seriously valuable content on a pretty regular schedule. To find and follow some of these influencers, go to Home, and on the Who to Follow widget, click View all recommendations. You’re sure to find some fascinating influencers who’ll keep your LinkedIn feed full of quality content worth reading. Using LinkedIn’s powerful search feature to reliably pull up interesting job prospects or people isn’t easy. But with LinkedIn’s saved searches and search alerts, it can be. When you’ve created a fruitful search within the People tab or Jobs tab (these are the only areas where you can save a search), hit the Create search alert button on the right-hand side of the search page. Choose your preferred settings, and click Save. You’ll now receive regular alerts showing you the most recent results for each of your saved searches. If you don’t want to wait for your notification, you can run saved searches whenever you like via the right-hand panel on the search page. LinkedIn has a neat feature (that we’ve covered before LinkedIn's Salary Comparison Tool Is Vital for Your Job Search LinkedIn's Salary Comparison Tool Is Vital for Your Job Search LinkedIn now provides salary data that you can use to negotiate a better rate at your next job -- and best of all, everything is anonymous and encrypted. Read More ) that’ll tell you how much you should expect to earn depending on your job title and location. To get the most out of this feature, you’ll need to submit your own salary (which is kept private). Then, LinkedIn will show you some interesting data, including how salaries are distributed based on location, industry, and company size. You’ll see the education level of most people in that position, and the field in which they studied. You can find this feature right here. By default, LinkedIn will always show “top updates,” which are dictated by the platform’s algorithm. But if you don’t want LinkedIn deciding what you should and should not be seeing, you’ll need to change your timeline to show “recent updates”. The option for this is right below the compose box on your homepage. Click the dropdown menu, then select Recent. Your feed will (for now) be in chronological order. Each time the feed is refreshed, it’ll reset back to top updates, so you’ll have to do this each time you’re scrolling through your feed. 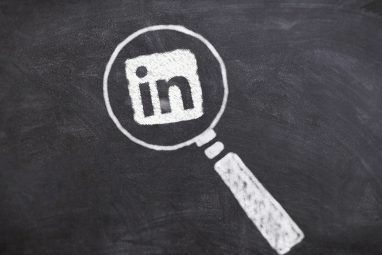 To make quick searches on LinkedIn more targeted, you can combine or limit terms with certain modifiers to create Boolean searches. This is also possible when searching Google, along with many other Google search tricks This Cool Website Will Teach You Hundreds of Google Search Tips This Cool Website Will Teach You Hundreds of Google Search Tips Anyone can use Google search to a satisfactory degree, but if you really want to get fast and accurate results, you'll want to learn these simple but amazing tips. Read More . This makes it possible to search for profiles that contain exact phrases by surrounding the phrase in quotation marks. Search for profiles containing at least one of many terms by separating the terms with “OR” (capitalized). Search for profiles containing two or more separate terms or phrases by separating the terms with “AND” (capitalized). Be more restrictive in your searches by limiting results with the “NOT” modifier (capitalized). And combine different modifiers for more complex searches. Not long ago, messaging on LinkedIn was restricted to sending messages through their Messaging tab. Now, LinkedIn has a chat widget that’s suspiciously like Facebook’s. Click the Messaging button at the bottom right of the screen to easily start a chat with your connections. Within these chats, you can also attach images or files. 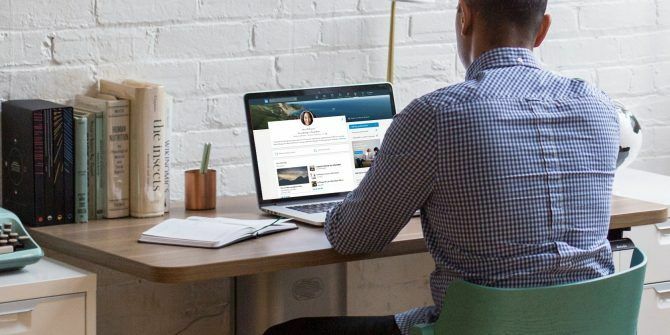 It’s not a mind-blowing feature, but it means you can more easily hold multiple conversations on LinkedIn, while still continuing to browse the site. If you want to prevent poachers from scouring your list of connections for potential clients and employees, you’ll want to make sure your network is private so only you can see your list. To do this, click your profile picture, and select Settings and Privacy. Go to the Privacy tab, click Who can see your connections, and change this to Only you. This is where you’ll find tons of other privacy settings that you’ll want to go through so you understand who can see what information about you. If you don’t want to miss any opportunities, download the LinkedIn Chrome extension. This way, even if you don’t have LinkedIn open on your browser, you’ll still be able to immediately see when you receive a new notification. If you’re trying to find new clients or waiting on responses from job applications, this can really help you stay ahead of the crowd. For each piece of content you post on LinkedIn, you’re able to see analytics on how well it performed. Open up those analytics, and you’ll be shown the job titles and location of the people who saw your post, and whether that audience was from your 1st or 2nd degree connections. At the bottom of the analytics window are suggestions for pieces of content that are likely to perform well if you share them. This is all useful for choosing which content to post in the future that’s most likely to engage and intrigue your network. If you’ve found someone you desperately want to message on LinkedIn, you might not be able to contact them unless you have certain information such as their email address. Luckily, there is a workaround. It does require a bit of work though, so this all depends on how keen you are to send that message. Basically, you can reply privately to mutual members of LinkedIn groups. To take advantage of this, head over to the person’s profile, and scroll down to Interests, click See all, and select the Groups tab. If you share membership of any groups, great! If not, join a few. Next, you’ll need to scour these groups to find any posts or comments the person has left. When you find something, click the ellipsis to the right of their post, and hit Reply privately. You’re now able to send them a private message to introduce yourself. Be sure not to start spamming a ton of people though. No one likes to receive tons of pointless contact requests Should You Accept LinkedIn Invites from Strangers? Should You Accept LinkedIn Invites from Strangers? 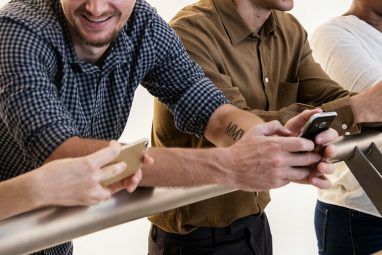 A recent survey found that 24% of LinkedIn users have connected with strangers, despite LinkedIn's repeated warnings not to. Could this explain how LinkedIn has become a vector for spear-phishing and other scams? Read More and messages. Plus, that’s a sure way to get your account suspended. 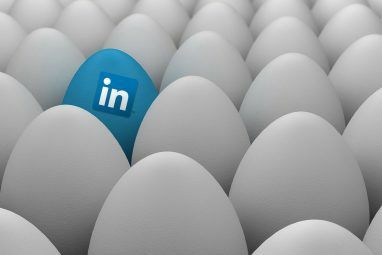 LinkedIn isn’t the most feature-rich of platforms, but it’s definitely still got some hidden tricks up its sleeve that most users aren’t aware of. These are features that’ll help you more easily find job opportunities The Internet's Best Job Hunt Advice to Improve Your Resume The Internet's Best Job Hunt Advice to Improve Your Resume The best resume writing advice from experts who are in the business of recuitment. These best practices can make the difference to your next job hunt. Read More , connect with interesting people 6 Tools to Find Awesome People with Similar Interests 6 Tools to Find Awesome People with Similar Interests Connecting with new people can help you get more out of life. Take the plunge and start making new friends who share your interests Read More , hunt down new clients, and make a name for yourself 16 Tips to Become Famous Through Your Work Interests 16 Tips to Become Famous Through Your Work Interests A promotion isn't always the career benchmark. Another is to become a thought-leader or a minor celebrity in your chosen field. Yes, you can become famous in your niche with some inspired work. Read More in your industry. With this in mind, which of these 11 features will be most useful to you? And if there are any you use that I haven’t included in this list, please share them in the comments!